I hope he nominates Harriet Miers. Souter’s retiring. I suspect this isn’t how President Obama envisioned the beginning of his term in office. Oh well, idle hands are the Devil’s playthings. I don’t know if there’s something qualitatively unique about the historical butchery that’s dominated right wing discourse during the first few months of the Obama administration. As Eric and many others have been chronicling across the internets, the history of Great Depression and New Deal have been grotesquely misrepresented in a variety of venues — like cable news, the Washington Post or the Wall Street Journal — that the young and/or the gullible continue to revere. As a result, my US survey course this semester had to devote a non-trivial amount of time to refuting an array of wingnut talking points about the causes, consequences and cures of the Great Depression. And yeah, I had to explain who Amity Shlaes is and why she’s properly regarded as a dishonest hack. 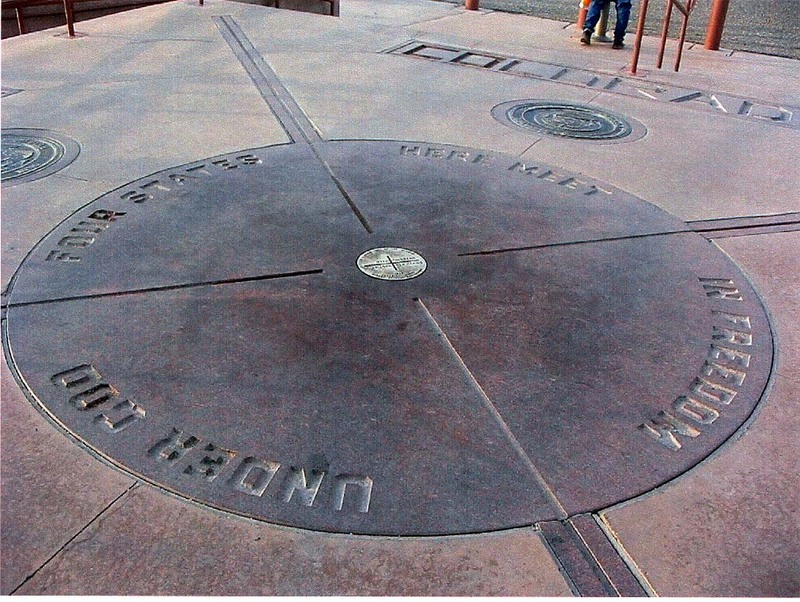 In a way, though, it was a useful exercise, particularly to the degree that it allowed us to think about how historical knowledge matters to debates about public policy; to discuss historical methods in a preliminary way; and to raise questions about what historical study can and can’t teach us about the past. I was also able to make use of all the new economic history I’ve been trying to learn recently (e.g., Eric’s book, DeLong’s podcast), since that’s an area that’s been an enduring weak spot in my teaching. But Murphy’s post covers material that isn’t even close to being serviceable. The Bush era took an especially awful toll on popular historical memory — a gentle casualty compared to all the rest — and perhaps their unreconstructed endorsement of the war on Iraq liberated a certain species of conservative to develop an entirely new, Rumsfeldian lifestyle oriented around the absence of evidence. It’s a remarkable thing, but they make people like Amity Shlaes seem like honest sparring partners. As the American newspaper industry collapses around us, its economics imploding under pressure from the worldwide web, we can begin to see hints that the book publishing industry is on the cusp of the same downward spiral. History book sales are down. Penguin and other presses have announced layoffs. The once venerable Houghton Mifflin may soon cease to publish trade books altogether. Such changes ought to be sobering to historians. Ever since history first emerged as an academic profession in the mid-nineteenth century, the basic unit of production has been the book. One needs to publish a book to get tenure and, at most institutions, publish another book to get promoted to full professor. What will happen to this century-old tradition if books become harder to publish and more historical scholarship heads off for the new, untamed frontier of the web? Like everyone else in publishing and academia, I don’t have a complete answer to this question. But based on my recent experience — publishing a book in the Penguin History of American Life series (Shadows at Dawn: A Borderlands Massacre and the Violence of History) and creating a companion website — I have gathered a few random insights, which I offer below in the hope of beginning a long overdue conversation among historians about the perils and possibilities before us. Arlen Specter can read a map, an electoral map particularly. His switch to the Democratic party today is the continuing culmination of dual regional political realignments that have been going on over the last several decades. In 1976, Jimmy Carter won election to the Presidency by winning every southern state, a spine of states running up the Appalachians to New York, several Midwestern industrial states, and only one state west of the Mississippi (Texas). This was the last gasp of the old Democratic coalition, built on the “Solid South” and the Rust Belt. 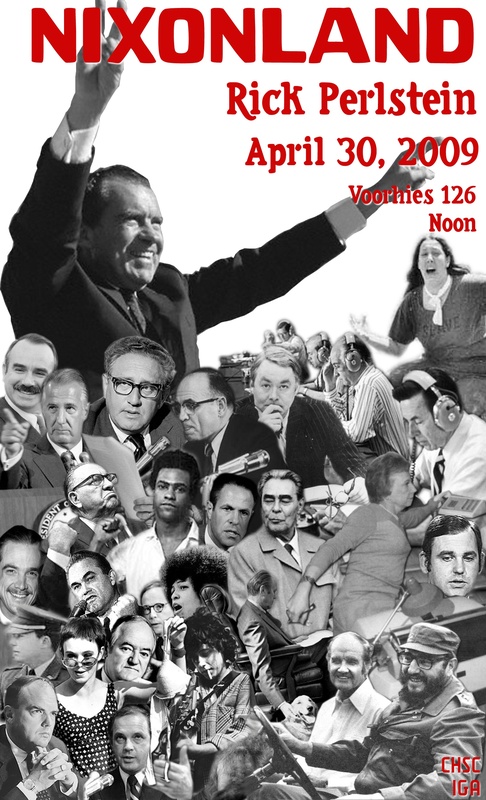 That coalition was decisively fractured by the Civil Rights Act of 1964 and the subsequent Republican exploitation of disaffected white southerners. Nixon’s “Southern Strategy” effectively made the Solid South solid for Republicans, not Democrats. Slowly, over the next several decades, the southern realignment meant the disappearance of southern Democrats at all levels. Southern Democratic Senators and Representatives lost elections, left for the GOP, or retired. By the late 1980s, the south was consistently voting Republican at a national level (with several exceptions). Pushed out of their traditional base, the Democratic Party faced an enormous challenge to establish a new base from which to fight elections. Without such a base, the Democrats would go into each Presidential cycle at a built-in deficit to the Republicans, as both Walter Mondale and Michael Dukakis discovered. Next in our speakers’ series, Rick Perlstein on life in Nixonland. Please join us if you possibly can; CHSC lectures are free and open to the public. Quick: What does your bank look like? I admit it; I don’t know either. There are glassed-in tellers. There’s a metallic sheen off the ATMs. Some peppy posters promoting savings plans for dream retirements. But it all adds up to a rather anonymous décor. More than once the names and the colors have changed, and I hardly noticed. But there are banks I remember. Growing up in San Diego, I recall the grand lobbies of the Home Savings banks, some with gurgling fountains and sculptures. They had parking lots, and wide arches framed the entrances. Most spectacular were the mosaics: thousands of little tiles arranged to show carefree beach scenes, vaqueros from the Californio past, Victorian ladies in their bonnets, Chinese miners and Franciscan friars. Going to the bank was a history lesson and a celebration of California identity; it was a civic space, a place to linger, a landmark for a child who hardly knew pennies from dimes. 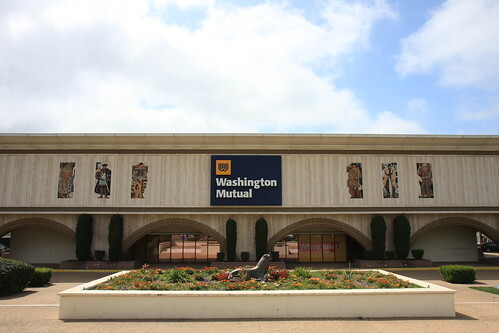 Home Savings of America is no more; in 1998, the bank was purchased by Washington Mutual, which last year was seized by the federal government and sold to Chase. Though the Washington Mutual name has lingered, it too is gone: this month, its depositors are receiving Chase ATM cards, and, on the East Coast, Washington Mutual branches are being closed and sold off. In this moment of financial turmoil, however, we as Californians should ask that the cultural assets of the bank be preserved. These mosaics, paintings, and stained glass artwork are a unique California treasure deserving protection. This art is the legacy of Millard Sheets. For most of his career, Sheets (1907-1989) served as director of the Otis Art Institute (now the Otis College of Art and Design), where the library is now named in his honor. 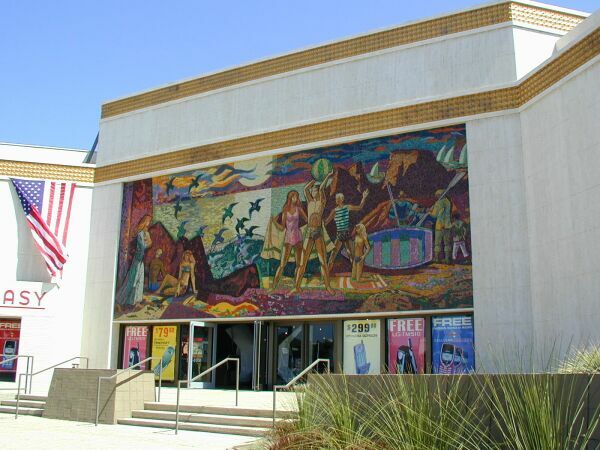 Beginning in 1952, Sheets, Susan Hertel, and Denis O’Connor spent three decades designing Home Savings banks and providing them with memorable art: In the Lombard branch in San Francisco, a mural provides a timeline of local history from Native Americans to the Golden Gate Bridge; at the Pacific Beach branch in San Diego, mosaics of Spanish missionaries and soldiers stand guard; in Studio City, images of vaqueros over the door are joined by prospectors and movie directors. Sheets completed commissions for the Mayo Clinic, the Honolulu Hilton, and Notre Dame University, yet his masterpieces are here in southern California, and they have been left vulnerable. After the sell-off of Home Savings branches in the late 1990s, Sheets’s mosaics have come to grace a barbeque-grill vendor in La Mesa, California, and a mattress store on Santa Monica Boulevard in Los Angeles. Are the landlords cognizant of their significance, and to renters maintain and repair them? The fifty-foot-tall mosaics on the marquee banks are probably safe, but what about the small, two-by three-foot panels of life on the sea floor, or the delicate paintings of palomino horses? This artwork is vernacular, with humble materials and few pretensions. Yet it is still worthy of preservation and care, an important public treasure alongside the holdings of the Los Angeles County Museum of Art or the Getty Museum. We must look out for these mosaics, these paintings and stained glass, especially when their current owners—banks and real-estate developers—are desperate to liquidate assets and regain their footing. I’ve begun compiling an inventory of this artwork online and welcome additions from readers. Those concerned might also contact their local preservation board to ask that this artwork receive landmark protection, or perhaps arrange transfer to a local arts council or museum. During these days when Californians have come to associate their banks only with bad news, we have an opportunity to preserve some of them as unique chronicles of our local history. Future generations will thank us for recognizing that, sometimes, a bank’s most precious asset is the bank building itself. Originally from San Diego, Adam Arenson is an assistant professor at the University of Texas at El Paso, where he teaches nineteenth-century North American history, with a particular interest in the American West and its borderlands. He has published articles on Ansel Adams photography, library furniture, and more, and is co-blogger at makinghistorypodcast. He is working on a book manuscript,The Cultural Civil War: St. Louis and the Failures of Manifest Destiny, and co-editing a volume on frontier cities; more information here]. This video has probably already been everywhere. Since I’m usually only here, though, I wouldn’t know. Anyway, I haven’t had the heart to write much about the torture memos, but the above struck me as oddly appropriate. I feel unmoored when this sort of thing happens. We jumped off at first light. E Company’s objective was Colle Musatello, a high and heavily defended ridge. All three rifle platoons were to be deployed, two moving up in a frontal attack, with my platoon skirting the left flank and coming in from the side. Whichever platoon reached the heights first was to secure them against counterattack. Off to the right I could hear the crackle of rifle fire as the 1st and 2nd platoons closed in on the German perimeter. For us, though, it went like a training exercise. Everything worked. What little opposition we met, we outflanked or pinned down until someone could get close enough to finish them off with a grenade. We wiped out a patrol and a mortar observation post without really slowing down. As a result we reached the main line of resistance long before the frontal assault force. We were right under the German guns, 40 yards from their bunkers. We had a choice of either continuing to move up or of getting out altogether. We moved, and almost at once three machine guns opened up on us, pinning us down. I pulled a grenade from my belt and got up. Somebody punched me in the side, although there wasn’t a soul near me, and I half fell backward. Then I counted off three seconds as I ran toward the nearest machine gun. I threw the grenade and it cleared the log bunker, exploding in a shower of dirt. When the gun crew staggered erect, I cut them down. My men were coming up now, and I waved them toward the other two emplacements. I wanted to keep moving. We were pinned down again and, unless we did something quickly they’d pick us off one at a time. I lurched up the hill again, and lobbed two grenades into the second emplacement before the gunners saw me. Then I fell to my knees. Somehow they wouldn’t lock and I couldn’t stand. I had to pull myself forward with one hand. Lincoln and race: a puzzle solved? Lincoln believed that race relations were regulated at three different levels. At the highest level, the natural rights guaranteed by the Constitution, Lincoln consistently favored the equality of blacks and whites. Below natural rights were the privileges and immunities of citizenship, sometimes called citizenship rights, and at this level Lincoln was cautiously egalitarian during the 1850s and unambiguously so during his presidency. Finally, there were aspects of race relations that fell solely within the purview of the states – laws regulating marriage, voting, and jury duty, for example. These matters were determined by state legislatures elected by people at large. Virtually every concession Lincoln made to racial prejudice concerned the third level. Lincoln shared many, though by no means all, of the racial prejudices of his fellow Americans. He instinctively thought of the United States as a white man’s country, agreed that the founders had imagined their new nation the same way, believed that the western territories existed for the benefit of whites, and said on various occasions that it would be best if blacks and whites permanently separated. But when he bothered to justify these views Lincoln usually referred not to any notion of innate racial inequality but to the clearly expressed will of a racist white majority. Lincoln’s democratic deference to popular opinion explains his perplexing inconsistencies at least as much as his own racial prejudices. He resisted the idea that either natural rights or the privileges and immunities of citizenship were subject to majority rule, and on those matters he was a racial egalitarian. But on issues that were distinctly the prerogative of elected officials in state legislatures Lincoln deferred. As was so often the case in antebellum America, Lincoln’s prejudicial views had as much to do with democracy as racism. Hmm. About some of that I’ve got lingering doubts. For example, Lincoln on occasion granted that racial pseudoscientists were right: that there were inherent differences between blacks and whites, immutable markers indicating the latter’s superiority. I’m not sure how, even given the schema outlined in the first paragraph above, Oakes would explain evidence that Lincoln accepted the existence of “natural” differences between the races. Perhaps with his “virtually every concession” caveat? And maybe that’s all there is to it. Still, pro-slavery forces used scientific racism to undercut claims that slaves and free people of color enjoyed natural rights. I don’t know; maybe I’m overthinking this. Regardless, the Oakes is worth your time — as is the case with everything the man writes. On this day in 1993, the FBI assaulted the fortress of an apocalyptic Adventist sect near Waco, Texas, and a fire broke out that killed at least 80 children and adults. Two years later, an American militia sympathizer exacted what he saw as revenge by bombing the federal building in Oklahoma City and killing 168 people, including children in the day care center. The Waco confrontation had been building for months. The leader of the cult inside the fortress, David Koresh, was preparing for the end times by stockpiling illegal weapons, which were delivered by UPS trucks. One day, a package broke open, and the UPS driver called the feds. The Bureau of Alcohol, Tobacco, and Firearms planned a raid on the compound in February, but word leaked out to Koresh’s followers, known as the Branch Davidians. When the ATF charged the fortress, the Davidians met them with a hail of gunfire. Four ATF agents and two Davidians died in the shootout. The Davidians then shot and killed three of their own. The FBI responded to the murder of their fellow federal officers with hundreds of agents, tanks, helicopters, searchlights, and stereo speakers intended to blast the Davidians out of the compound with unbearably loud music. After fifty-one days of tense negotiations, Attorney General Janet Reno, convinced that the Davidians were abusing the children in the fort, decided to force them out. Armored tanks poked holes in the compound walls and began pumping in tear gas. Several hours later, the fortress exploded in flames. At least 80 adults and children died in the ensuing inferno, which was broadcast live on television. He announced that he would demonstrate the Walter Cronkite Award for Excellence in Television Journalism. On the day of the event, he was treated like a demonstrator. USC Employee: You indicated that you were here to demonstrate. Ziegler: Actually no, I called off the demonstration. I’m just here to find out what’s going on. Ziegler: I’ve got a microphone and a camera and website. [quick edit] So now you’re acknowledging that because of my political position on this, that has something to do with the access to this event. The Annenberg School of Journalism . . . teaching journalists how to stonewall and intimidate . . . journalists. Employees of the Davidson Conference Center and USC Department of Public Safety . . . teaching uncooperative demonstrators what happens to uncooperative demonstrators . . . when they refuse to comply when ordered to leave the premises. 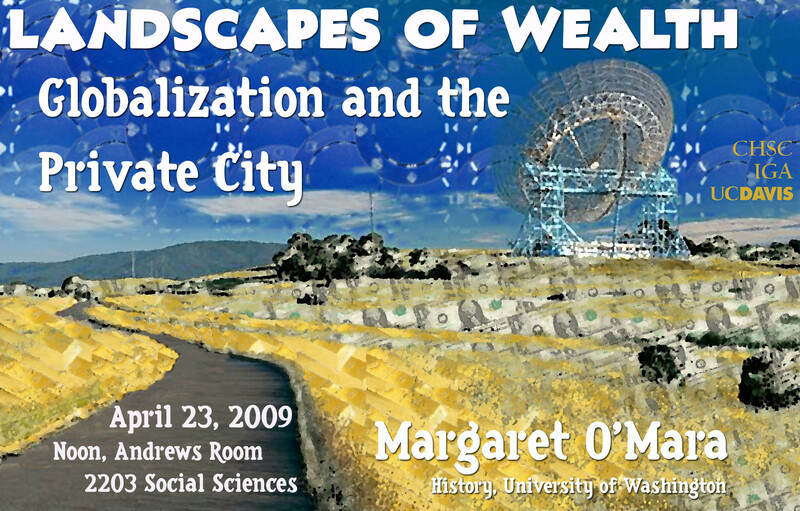 O’Mara, a historian at the University of Washington, will talk about how and why the American suburb has gone global. Like all CHSC talks, this one is free and open to the public.